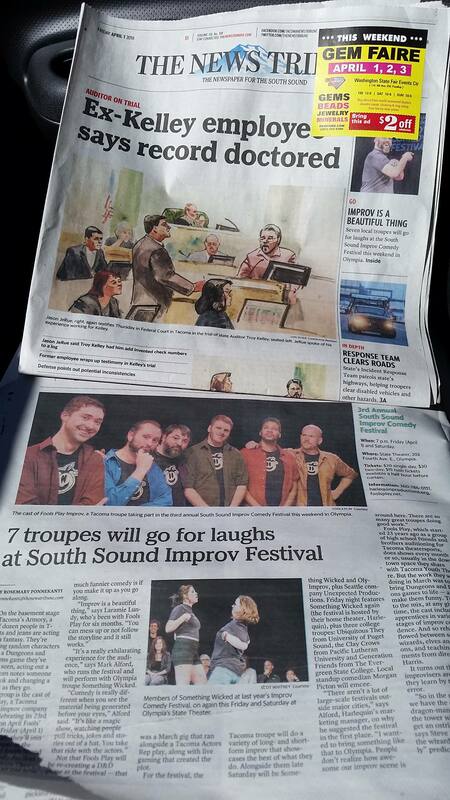 See Me In the South Sound Improv Comedy Festival Tomorrow (Saturday), and Also In the Newspaper Again! 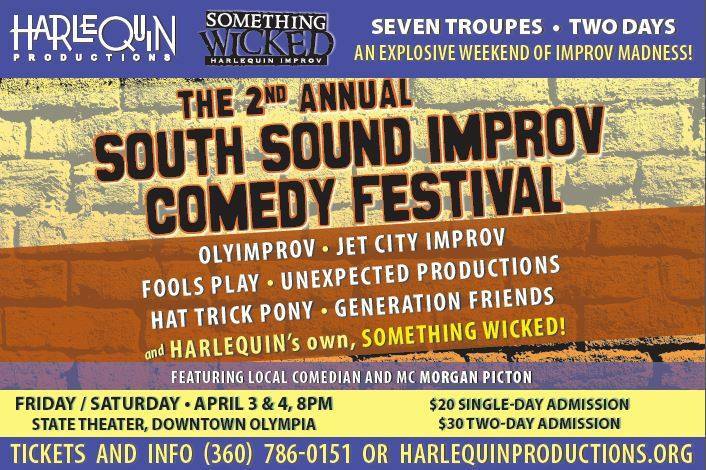 So this Saturday night (April 2nd), Fools Play Improv won’t be having a show in Tacoma as is their habit, they’ll be venturing back down to their old stomping grounds of Olympia to be a part of the 3rd Annual South Sound Improv Comedy Festival there! We’re one of four troupes performing that evening, so we’ll only get a wee bit o’ stage time (plus we’ll be in a big all-troupes mash-up at the end of the show), but if’n you’re in the area you should stop by and see all the funny! PLUS there’s a big ol’ photo of me (AGAIN) in The News Tribune in the article that talks about both Fools Play (and our now-over Improv & Dragons event) and the Festival! HELLZ YEAH I’M IN THE NEWSPAPER AGAIN! I SHALL SEE YE THERE! And you’ll also see me when ye purchase a copy of The News Tribune to gaze upon handsome visages of the Fools. Tags: Olympia, South Sound Improv Festival, The News Tribune. Posted by Christopher Grant Harris at 12:33 pm. 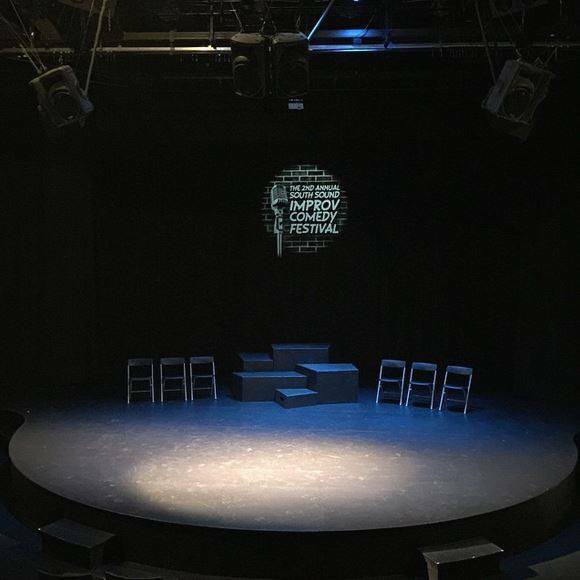 Fools Play at the 2nd Annual South Sound Improv Festival This Saturday! Seven Troupes… one of ’em’s US! This Saturday night, April 4th, truck on down to Oly Town to see Fools Play Improv performing in the 2nd Annual South Sound Improv Festival at the State Theater! This is our second (of 2) year doing this, and it was a great show last year. So it will be a great show again this year. Right? RIGHT! The festival is actually two nights, Friday the 3rd and Saturday the 4th, and there are a buncha other troupes gonna be there, but Fools Play is only on Saturday night. Fools Play hasn’t performed in Olympia since last Halloween. Who knows when we’ll be able to again? So you should really try your darnedest to come see us Saturday Night at 8:00, just like olde times! I know Saturday is only a couple o’ days away. 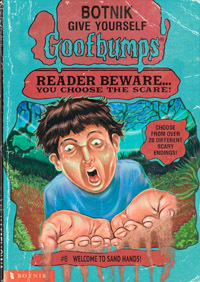 I wanted to post about this yesterday, but it was April Fool’s Day and I didn’t want you to think I was joking. 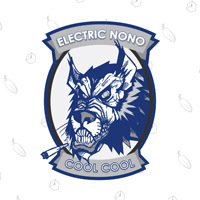 I’m not! This is all true! I’ll see you in Olympia on Saturday night! Tags: Olympia, South Sound Improv Festival, State Theater.